NTT IndyCar Series driver Charlie Kimball will be the featured speaker for the first “Fuel Up Fridays” of 2019 at the Indianapolis Motor Speedway Museum on February 22. Kimball and Fuel Up Fridays host, IMS Historian Donald Davidson, will kick off weekend fun early for guests with an hour of entertaining banter and stories, from 8-9 a.m. (ET). The event is an exclusive benefit for IMS Museum members. Membership information is available by visiting the Museum’s website: www.indyracingmuseum.org. With attendance capped at 25 in the museum’s Gallery, Fuel Up Fridays is the perfect opportunity to get to know IMS and NTT IndyCar Series personalities in an intimate setting through an informal question-and-answer session. Complimentary coffee, donuts and pastries will be served when doors open at 8 a.m. and the program will get underway at 8:15. Kimball is a native of Camarillo, Calif., and has been an NTT IndyCar Series regular since 2011. He earned his first IndyCar Series win driving for Chip Ganassi Racing at Mid-Ohio in 2013, and claimed a victory the same year at the prestigious Rolex 24 at Daytona with fellow drivers Juan Pablo Montoya, Scott Pruett and Memo Rojas. 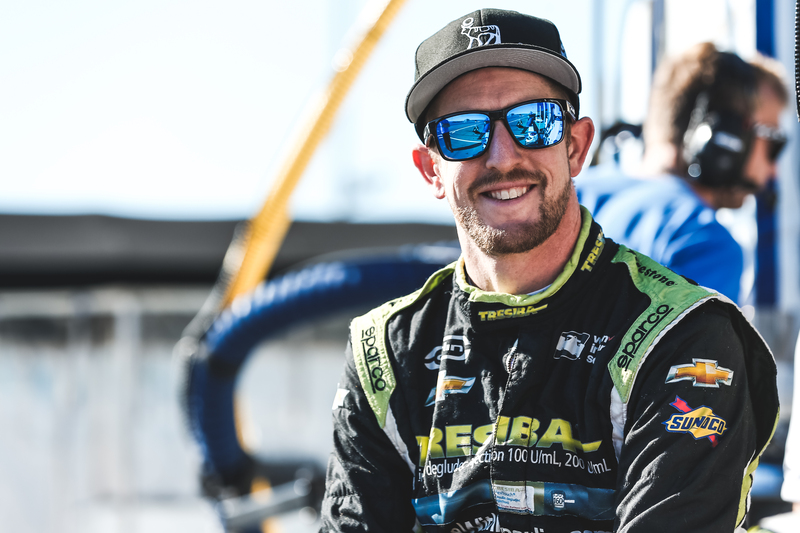 Kimball, who is married to Kathleen and welcomed their first child in 2018, is the first driver in the NTT IndyCar Series with Type 1 diabetes, diagnosed in 2007. He wears a continuous glucose monitor while racing. He is entering his second season competing for the Carlin team and sponsor Novo Nordisk, this year on a part-time basis. Learn how Kimball not only manages his diabetes but serves as a spokesperson to raise awareness about the disease, all while managing a successful IndyCar career and family life. To RSVP, please contact Kelly Hartman at (317) 492-6568 or khartman@brickyard.com. Membership information is available today by contacting Hartman or visiting the Museum’s website at www.indyracingmuseum.org. The Museum is a nonprofit 501(c)(3) organization and relies on support from admissions, tours, sponsorships, annual memberships and planned-giving for its operations, educational programming, restoration and preservation efforts, exhibits and events. Located inside the famed 2.5-mile IMS oval, the Museum is open 363 days a year (closed Thanksgiving and Christmas).